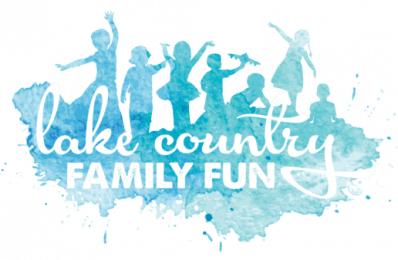 Our family’s goal is to visit all of the Waukesha County Parks, using this list, in one calendar year. Weekend schedules are getting a little tighter due to school and extra-curricular activities, so we went for an early morning visit to Retzer Nature Center. 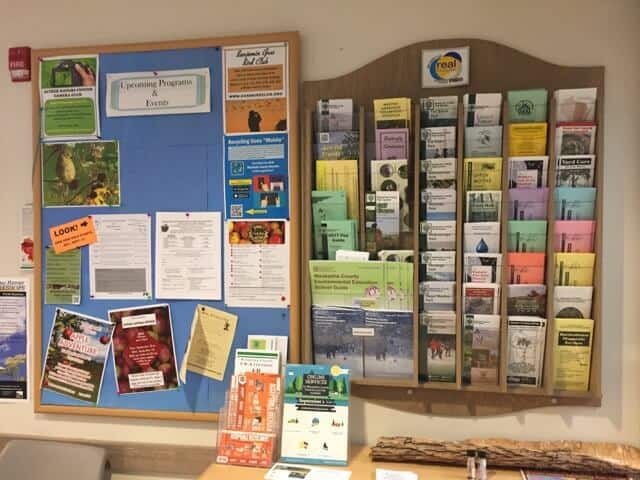 Admission is FREE, but if would like to purchase a park pass to access the Waukesha County Parks, you can purchase an annual Waukesha County park pass at the gift shop. Dogs are not allowed, but they can enjoy their own exercise areas at Nashotah Park, Mukwonago Park, and Minooka Park. 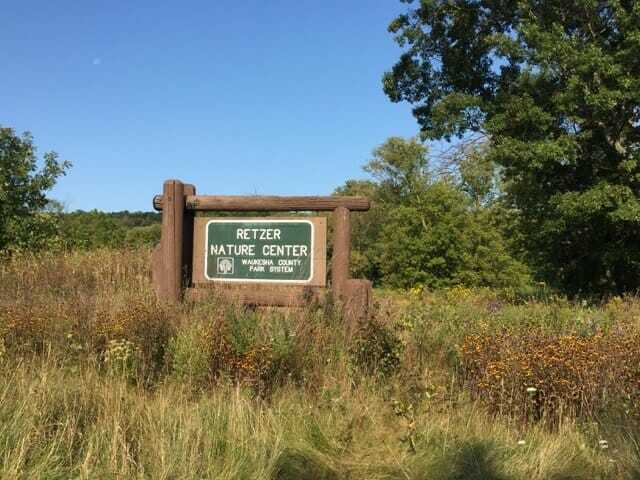 Retzer Nature Center was the first Waukesha County Park our family visited when we first moved to the area. It’s probably the only place on our Waukesha County Parks outdoor tour where we don’t need a map, but you can find trail maps near the parking lot. 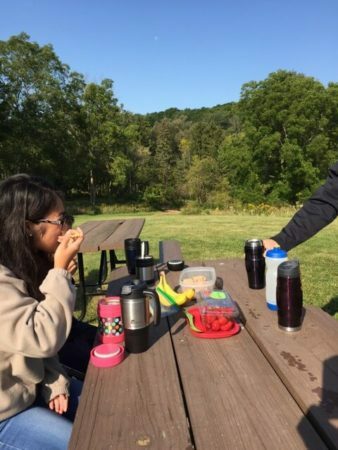 Our first decision was where we were going to enjoy our breakfast. The parking area has picnic tables in the shade on the median and you’ll also find a larger picnic area tucked within the pine trees. We opted to dine just outside the Environmental Learning Center to enjoy the beautiful prairie flowers and the songs of various birds. 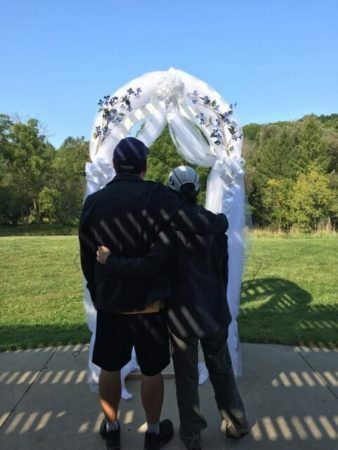 The Environmental Learning Center has numerous rooms and spaces that be rented for events, birthday parties and even weddings! The patio preparation for a patio wedding was beginning, so my husband and I took a few moments to reflect upon our garden wedding years in front of a similar arch years ago. Retzer Center and the Friends of Retzer offers special events throughout the year like Apple Harvest Festival, Howl-O-Ween, Waukesha Winter JanBoree, and Earth Day. You can attend programs geared towards toddlers, pre-schoolers, Scout groups, families, photographers, birders and adults. If your family is interested in winter adventure, consider visiting Retzer Nature Center for snowshoeing! You can provide your own snowshoes or rent snowshoes – both traditional and modern. We’ve done it with pre-school aged children and a grandparent visiting from Hawaii. We rent the traditional ones and pretend that we are French fur traders exploring Wisconsin. We’ve also concluded that we would never make it as a French fur trader exploring Wisconsin, but it makes for a memorable family-friendly winter outing. The Charles Z. Horwitz Planetarium is located within the Environmental Learning Center. It features programming for students in the Waukesha School District and the public. Their programs change throughout the year and you might be surprised that everyone from Big Bird to Galileo are featured. Inside the Environmental Learning Center, you’ll also find animals and a large aquarium featuring Wisconsin wildlife. 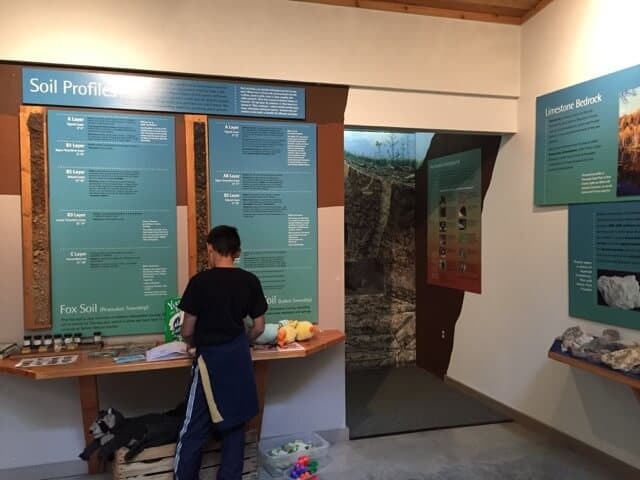 They have eyes-only and hands-on displays of pelts, birds, rocks, and puzzles to engage children of all ages. This building also includes restrooms and a gift shop with nature-inspired gifts and toys. You can even purchase rain barrels, composters, and bird seed here too! 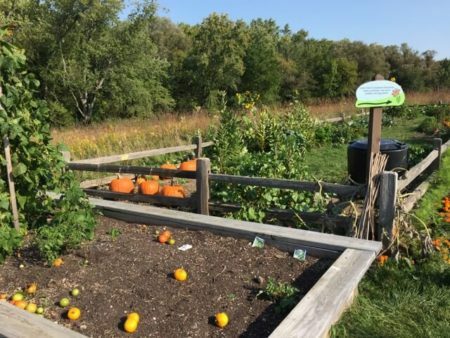 Just outside the Environmental Learning Center, you’ll find a garden and a composting demonstration area. As we explored the trails, we saw a professional photographer, nature photographers, and families with children of all ages. The prairie plants can be as 6 feet high in late summer, and it’s fun to visit Retzer Nature Center throughout the year to see how everything changes with the seasons. Depending on conservation efforts or weather conditions, some trails may be closed, so just follow any signs and trail detours you may come across. 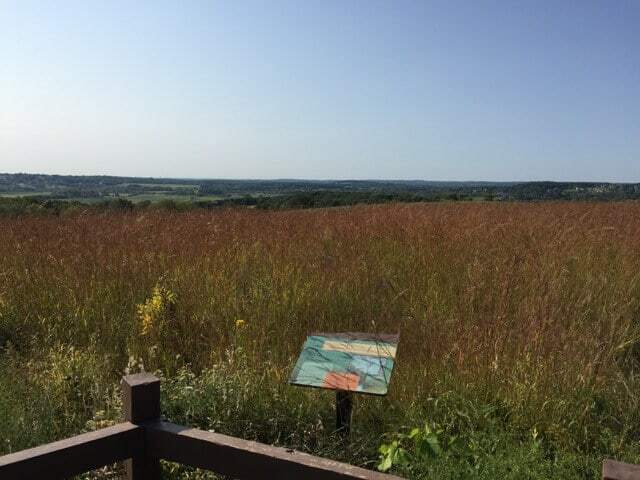 The Adventure Trail is a paved trail with stops along the way highlighting plants, birds and animals native to Wisconsin. One of my favorite places is the Vista, which we call the Lookout. During late summer, the grasses and plants are pretty tall, so it can be hard to enjoy the view even if you stand on the bench. The Fen Boardwalk Trail is another favorite because you can walk through a wetland. As the name suggests, it can be especially wet and boggy in the spring and times of heavy rain. 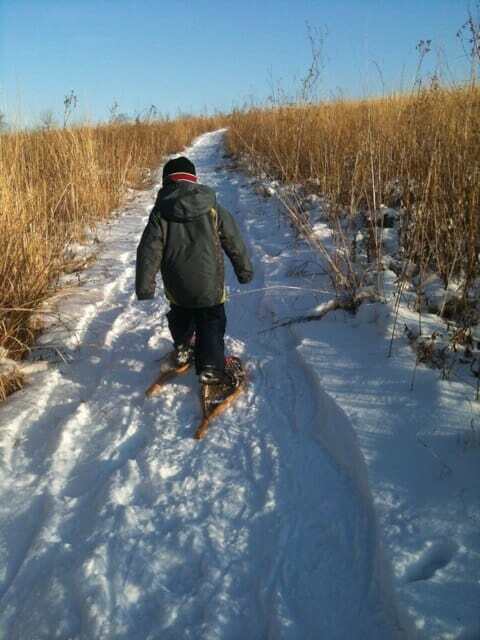 Retzer Nature Center is one of our family’s favorite places within the Waukesha County Parks system. It is also the sixth park that our family has visited this year. Six down, five to go, and four more months left in 2017. Please read about Jann’s other adventures here. 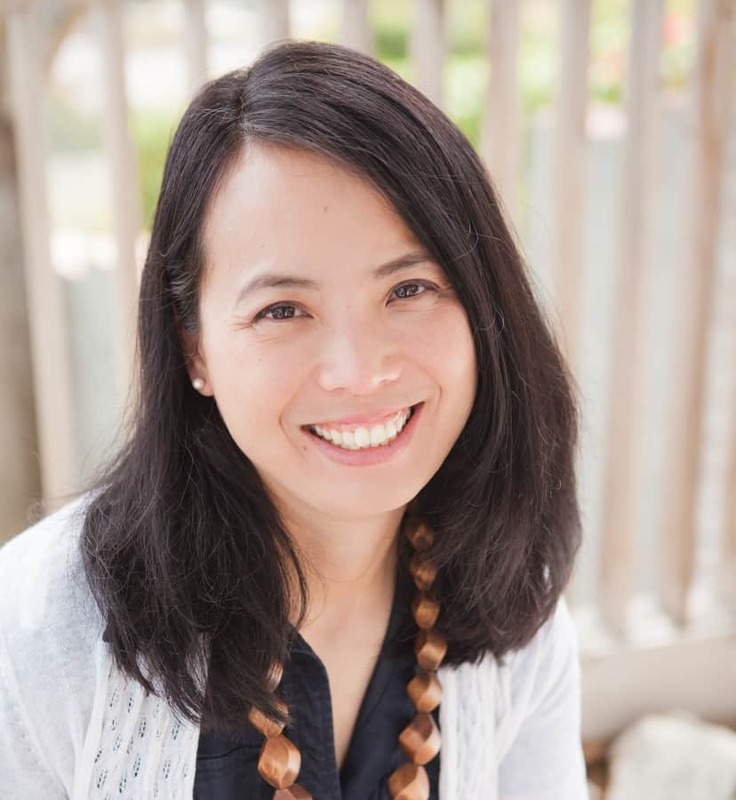 Jann Fujimoto is a wife, mom to two, and speech-language pathologist. Her family has lived in Lake Country for 10 years, the longest she has ever lived in any one place. She enjoys traveling, reading, and gardening at the Fuji Farm, which in reality is a couple of raised garden beds in the backyard.